He’s young, but fearless. Powerful, yet skilled. He’s considered a box-to-box midfielder, but he was also one of the youngest players ever to score six goals in a season in the top five European leagues. And amazingly, he played center back up until two years ago when his coach at Cesena put him in the midfield. 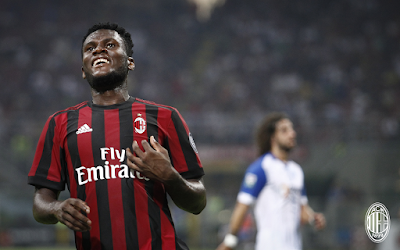 It seems that Kessié can do just about anything, but other teams will most likely simply call him a midfield destroyer. 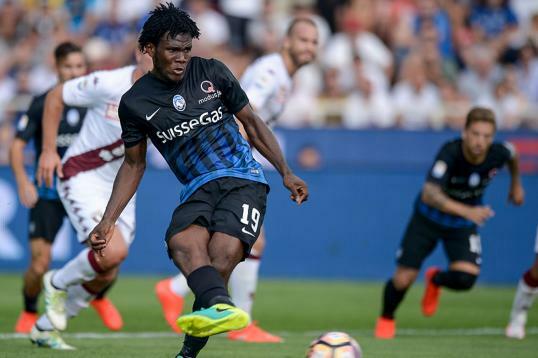 Born Franck Yannick Kessié in Cote d’Ivoire, the 20 year old is built like a tank but has the agility, strength, and speed of a lion. He began his youth career in 2010 for Stella Club d’Adjamé in the not-so-nearby city of Abidjan in Cote d’Ivoire. At the age of 17, he was promoted to their first team. There he made ten appearances for them and scored three goals before signing with Atalanta in January of 2015. He had just turned 18. At Atalanta, he began playing with the Primavera side. He actually did receive a callup to the first team in April, but stayed on the bench. 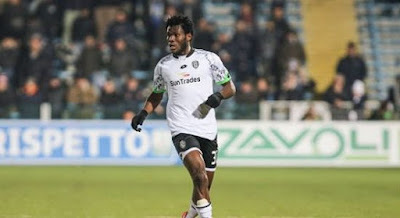 The following season he was loaned to Cesena in Serie B. It was there that Massimo Drago transformed the center back into a midfielder. He was a key starter in their campaign, playing 37 matches for them and scoring four goals. He returned to Atalanta and was promoted directly to the first team by Gasperini. The rest is history. He scored on both his Coppa Italia and Serie A debuts, actually scoring a brace in the latter. Kessié would go on to make 30 appearances for Atalanta last season, a key player in their amazing fourth place finish in Serie A last year. His name was on the lips of calcio fans everywhere, that young midfielder who could take a penalty with the iced confidence of a seasoned player, but score wondergoals that more experienced players wouldn’t even try. And I haven’t even mentioned yet that he has appeared for Cote D’Ivoire for both the U17 and U20 teams. He has also become an important player for the senior national team, with 17 caps since 2014. A box-to-box midfielder is considered a player who is as good at defending his own box as he is attacking the opposition’s box. But I feel like that description puts Kessié in a box, so to speak. Because I see him more as a true team player. He is able to hold the ball so well, not only because of his impressive strength, but also his ball handling skills. He can tackle and recover a ball as well as he can pass. And he can shoot from distance to score goals that will take years off of your life just to watch. Opponents fear him for his strength, but they should fear him for his relentless determination, power, and complete lack of fear. He shows his youth at times when he makes tackles that get him cautioned, but most of the time he plays with the steel of a player much older than him. However, don’t even think about mentioning the birth certificate thing, there are rumors that plenty of others have very unsuccessfully tried asking that question. Besides, it makes no difference at this point, I’m just grateful to have him on our team. 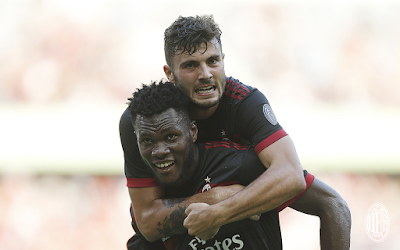 Kessié has already been Milan’s most consistent new player from the preseason until now. Whatever he can’t do with his speed and skill, he accomplishes by brute strength. He is the backbone this midfield has needed for some time, and fans have already been quick to acknowledge his impact on our squad. While it’s hard to believe he’s just 20 years old, it’s so exciting to think that he’s still growing and evolving as a young player, and that we may have gotten even more than we bargained for. He has said Essien is one of his idols, which is a great bar to reach for. And he also had the class to give up his number 19 to Bonucci when Leo joined Milan, I give him so much credit for that. Wise beyond his years, powerful as a tank, but with the skills and presence to be lethal, Kessié is our midfield destroyer.